A few years ago who would have thought that you’d be able to buy a computer for under 10 bucks? Definitely not me. I can hear my grandfather shout, “Snake oil!” to highlight his complete disbelief. “If it sounds too good to be true, it probably is” was another of his favorite expressions. 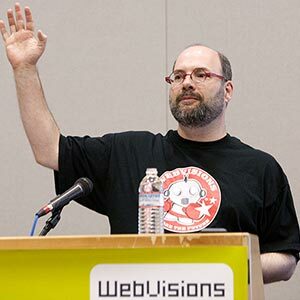 And yet, that’s exactly where we are heading as we see a fleet of small, versatile linux machines hit the market. These new little PC devices are proving to be anything but snake oil. While they’re definitely not as powerful as a regular PC or Apple computer you would get from your tech pimp, these tiny machines pack their own version of a punch. I mean, 1GHZ of processing power and 512mb RAM in a machine about as big as a pack of cigarettes is mighty impressive. 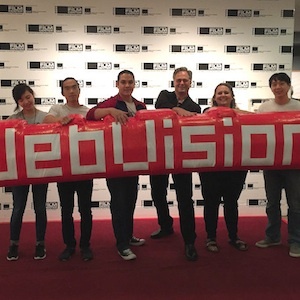 Sure, you may not be running Maya on one of them, but you can still get some serious work done if you need to. 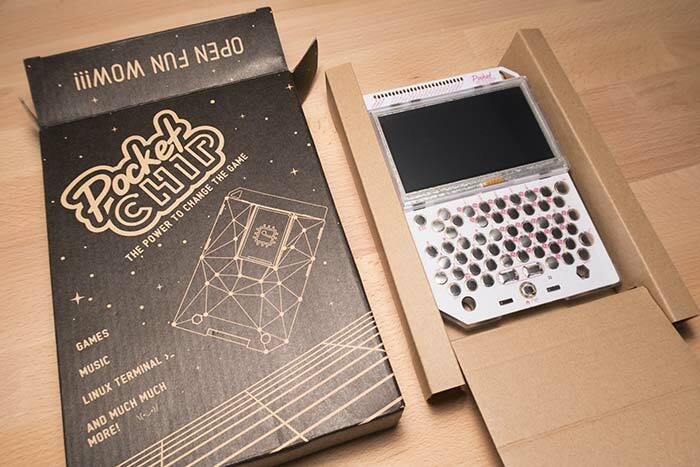 The Pocket Chip is a completely working computer crammed into what looks like a small, dystopian Gameboy. 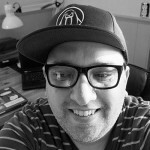 I had the opportunity to partake in a Kickstarter campaign for the Chip, one of the many manufacturers of these small, affordable Linux form factors. It’s claim to fame is that it was the world’s first $9 computer, which was enough to hook me right out of the gate. 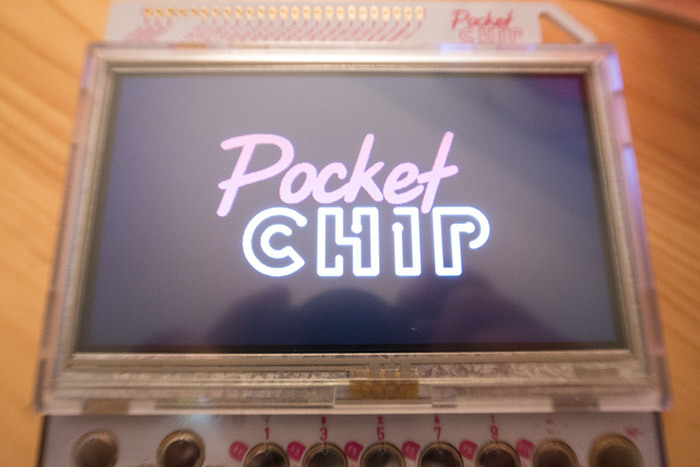 I ended up, as many people do, upgrading my support to land a special housing for the Chip called…wait for it…The Pocket Chip, which featured a plastic case for the Chip motherboard, a very small touchscreen, and keyboard. Essentially, a completely working computer crammed into what looks like a small, dystopian Gameboy. It was a wait to receive the reward, but the box finally showed up last week and we thought we’d share a bit of what $69 will get you in terms of a computer. 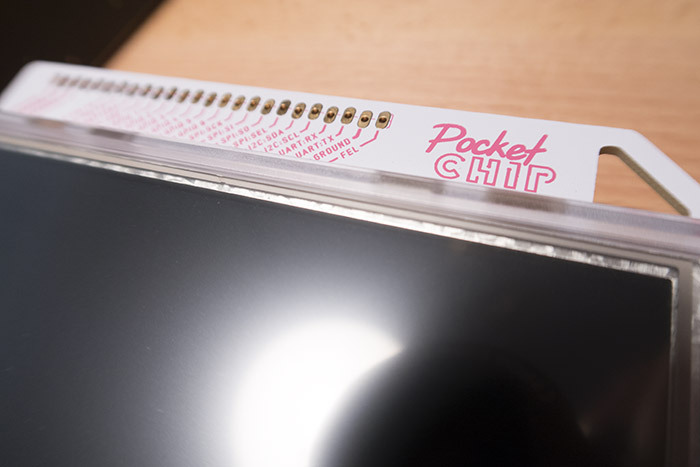 There really wasn’t any assembly required as the The Pocket Chip ships with everything intact. The only thing we really had to do was charge it after we took it out of the box. The specs on the Chip are impressive when compared to what your spending for the motherboard (did we mention it’s 9 bucks). It sports a 1GHz processor, 512MB of onboard RAM, wifi, Bluetooth 4.0, and VGA or HDMI outputs. 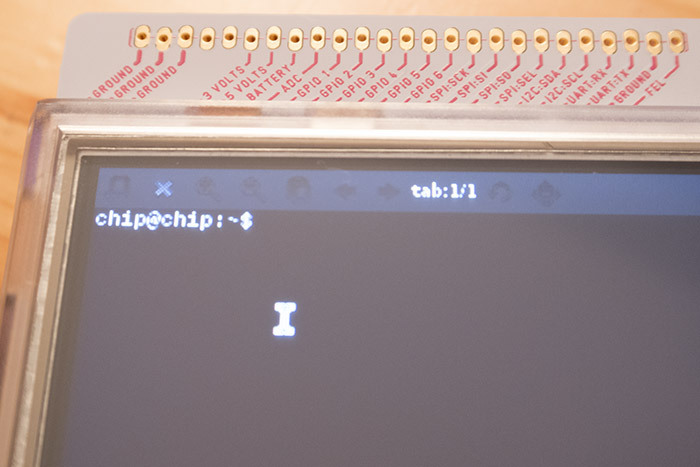 The Pocket Chip configuration also sports a 480px x 272px LED display and a SUPERClicky QWERTY keyboard. Once we got the PC charged up, the OS fired up fairly rapidly. After a couple of load screens the chip drops you into the main dashboard with six simple apps / settings options. 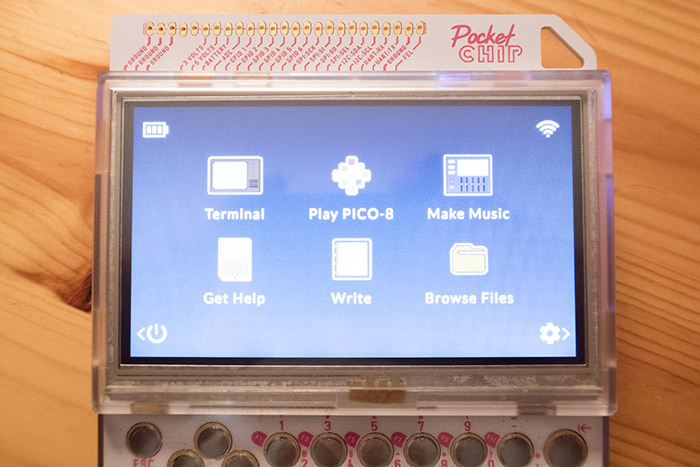 It’s unclear if the Pocket Chip is meant to be more of a 8-bit gaming platform with the inclusion of Pico-8, but it seems so. You can get a terminal which will let you do anything you could really want to with the Linux OS onboard the device. It also sports a music making device where you can bang out a few chip tunes style melodies, and of course, it sports the obligatory writing program. 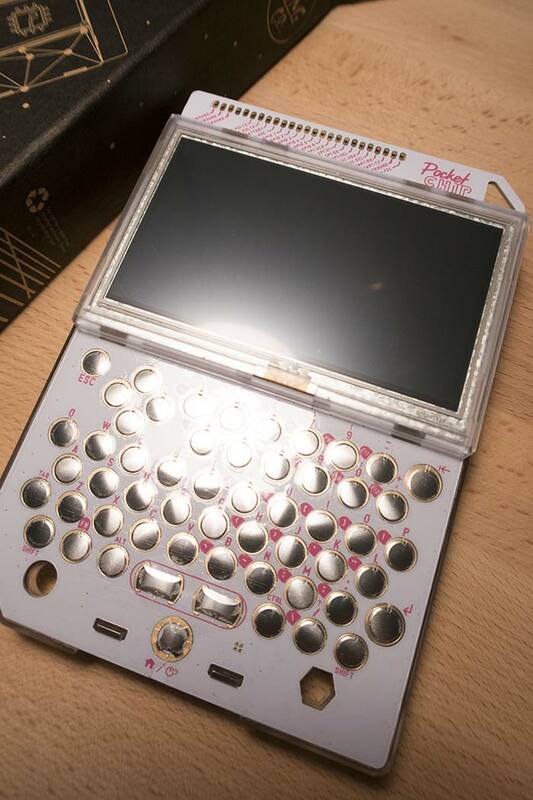 The built in screen and keyboard of the Pocket Chip are ultra cool, despite the retro feel of the device itself. The one complaint we had was the super clicky keyboard is hard to do any type of quick typing on, but it is a keyboard that you can expect to last for a long time. 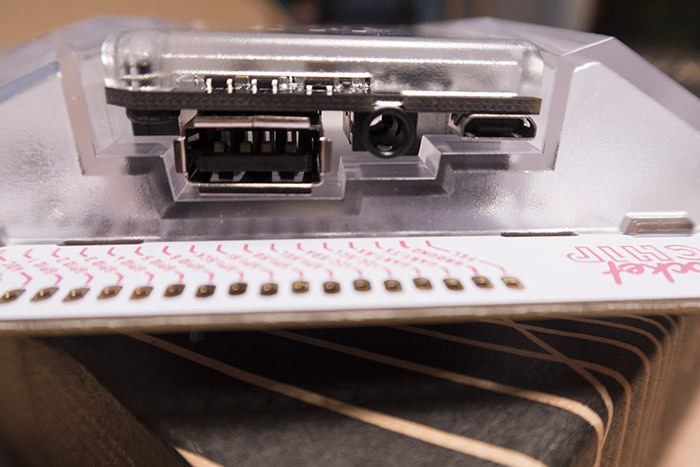 The one thing we did not test, however, which would probably make this device more accessible was the fact that the onboard Chip is removable so you can use it like a normal Linux device connected to a monitor and full-size keyboard. 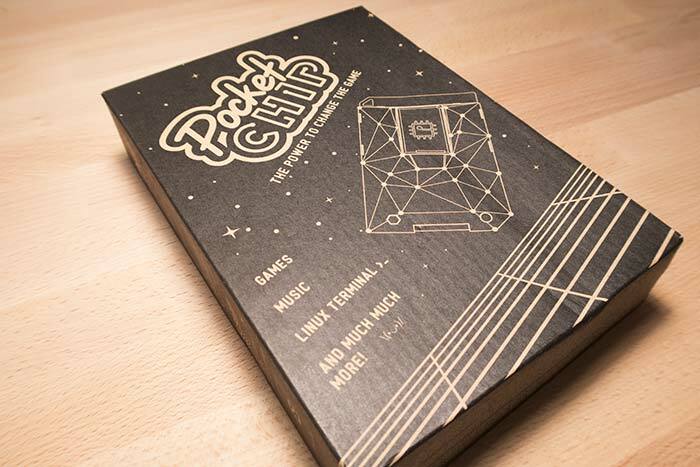 While the Pocket Chip won’t become our daily machine, it does offer a fun, exciting platform to explore. What does make sense, though, is getting a few more of these low cost Chips, teaming them up with a bit of Arduino and making some real magic with the power of Linux under the hood. As we move further into the future we can expect to see many more of these types of small, form factors gaining popularity. 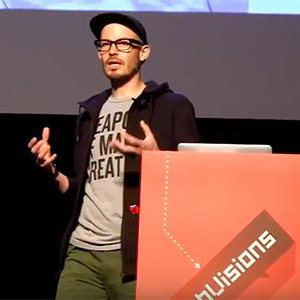 In our minds, however, where this really begins to make sense is in the ability to empower segments of our society who cannot afford a regular, retail computer, while giving them access to online tools that could make a difference in their lives. At $9, it may not be the perfect utopian solution, but it’s getting closer.